Today I explored the opposing attitudes of Expansive vs. Narrow. It was an amazing day! First, I woke to not being able to reply to folks who started “following” on Twitter by following these kindred souls in turn. Even though I had not reached a limit for following, I was mysteriously restricted from doing so: a contraction and narrowing of opportunity. So, I went to the office and dealt with some restrictiveness there in my role as department chair. I accepted both of these, figuring that with some patience I could eventually work things out. I acted to query customer service about the Twitter constraint, and I worked on a needed document to try to ‘open’ a matter at the department. Then, I went to write; my real goal for the day.Everything shifted in my attitude. The editing process expanded a chapter that was in need of a fix, and I found myself sitting next to a writing group whose members all had positive experiences to share around their writing. When I came home, I cleaned house a bit (another expansive experience), and when I checked email in the midst of cleaning, not only had the Twitter problem been resolved but there was actually an “offer to publish your blog as a paperback”! We’ll see what happens, but what matters here is that I experienced the clear difference between the effects of two opposing attitudes. By remaining neutral about the ‘negative’ side rather than reacting by ‘closing’ my heart, I was able to shift to the positive, and then it felt like the universe Itself followed suit! This demonstrates the Law of Attitudes, which is such an important aspect of creating Better Endings in our lives, yes? With my life mapping interviews and coaching, I have seen how two people might experience very similar life experiences, yet their attitudes can lead them to very opposite responses which have very different consequences in their lives. John (pseudonyms used), for example, was an author who had felt “paralyzed” in his life since a car accident that followed a series of losses and setbacks in his life. Doctors had not found anything medically wrong. John’s Life Metaphor (his answer to ‘What is a human lifetime like?) was: “A tree stuck in the mud beside a flowing stream.” Ever since a romantic failure, every event John recorded in his Life Map seemed to dig for him a deeper and deeper hole that he had fallen into. John arrived at a fatalistic view of life, and all of his experiences appeared to validate that point of view. “But, why?” I asked, mystified. Ambrosia told me of how she had experienced a profound vision, like a Near Death Experience, that night at the hospital. An Inner Guide appeared to her and told her she could leave (pass on) if she chose to, but he told her there was much she could still accomplish in her life if she chose to stay. “All that glitters is not Gold,” Ambrosia said to her Inner Guide. “That is true; But anything CAN be,” was his sage reply. “Okay, then,” she said to him, and then she awoke. After that night, Ambrosia survived and, gradually, she healed. She did regain the “Passion for Life” she sought, returning to school for two advanced degrees since then and becoming a leader in her local spiritual community for several years. John and Ambrosia have come to symbolize for me how attitudes can determine the “flow” of life experience. 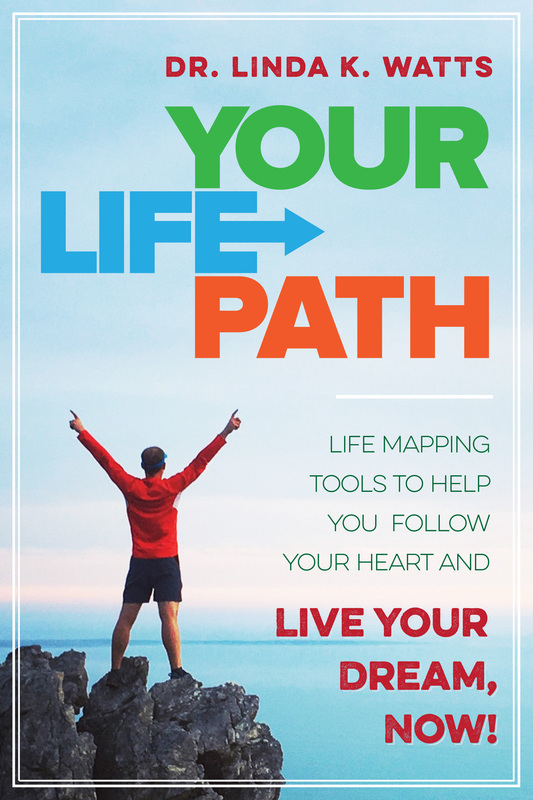 Quite often I find with these and other life mapping cases that people can experience a Sea Change in their life patterns when they allow themselves to shift their Attitude about life overall. I do find that almost always, a major positive shift in life pattern follows a profound change in OUTLOOK, whether from something like Ambrosia’s NDE or from a conscious move in a new direction; a choice to create a new condition. Oh, yes, I very much agree! New, positive directions are always possible, but sometimes it takes a crisis to set us off on the new path!